An information session for the Tropical Diseases Research and Service Learning Program (Ecuador Summer 2019) is Nov. 7 at 5 p.m. in Baker Center 230 . This is a great opportunity for students to participate in collaborative research with Catholic University in Ecuador. The summer 2019 program runs June 19 to July 7. Eligibility: Students from institutions of higher education (undergraduate, graduate, medical, non-degree), professionals and community members interested in international research related to health, development and community education; individuals interested in service learning; individuals interested in improving their Spanish skills; individuals interested in learning in a cross-cultural environment. 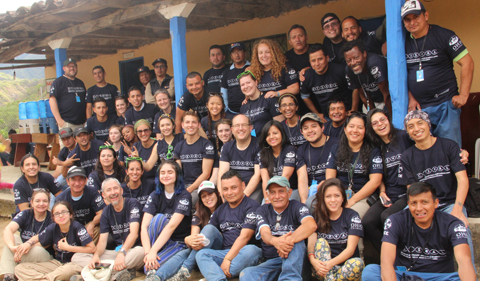 “With student participation, we complete projects with positive health impacts for Ecuadorian communities. Participants take part in interdisciplinary research with social and biological components. Students contribute to service in the communities and learn about intercultural communication while working in a team. They gain practical field research experience and work in interdisciplinary teams, all experience that enhances their résumé,” says Gloria Dikun Taban Thomas, a graduate student assistant at the Infectious and Tropical Disease Institute. This 18-year initiative is contributing to more knowledge about Chagas disease and mitigating its health impacts in Ecuador. For more information, contact: Dr. Mario Grijalva at grijalva@ohio.edu or Lori Lammert at lammert@ohio.edu.